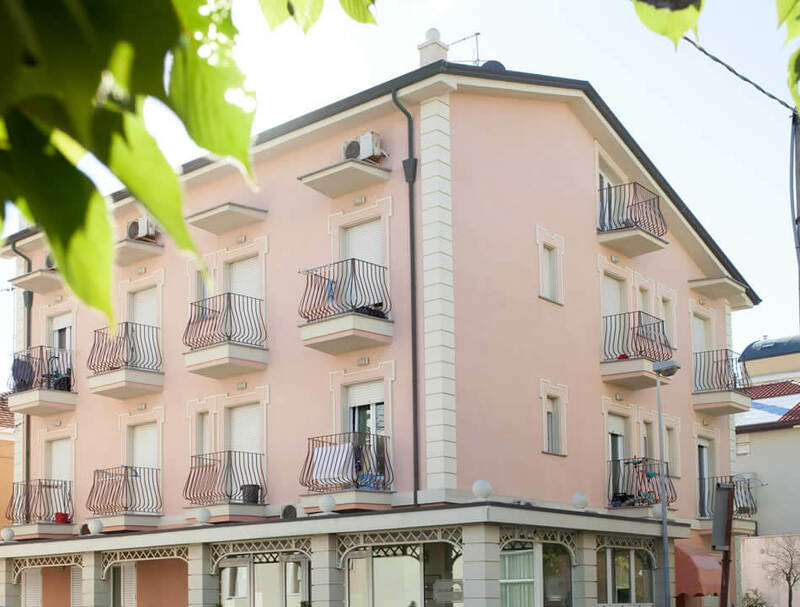 Residence Uno is located in Rivabella di Rimini, an area ideal for family vacations, thanks to peace and to the services that you can find. Here the beaches are uncrowded, Sandy, extensive and well-equipped for the ultimate comfort for the whole family. 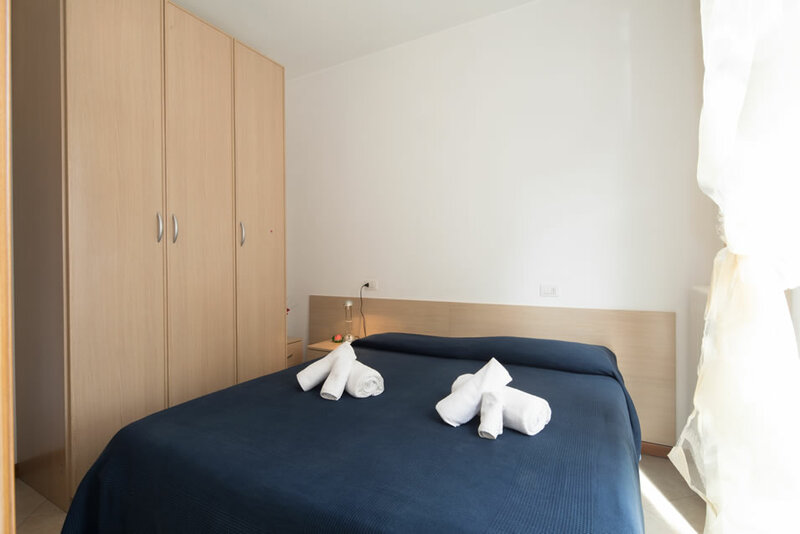 The new Residence & Studio Suites is the ideal solution for those who love to spend their holidays in freedom without constraints and schedule. It is a newly designed Apartment without architectural barriers. From this year available for guests at the rooftop terrace, with sea view. 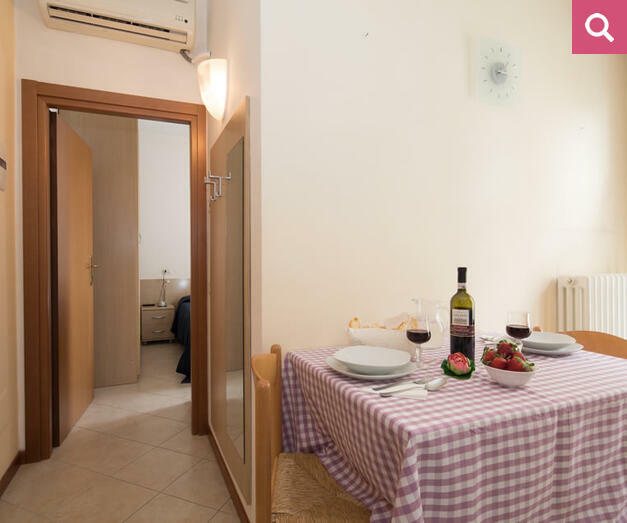 The Residence is situated just 50 meters from the sea in a quiet side street of the waterfront, where even in the most crowded periods is always easy to find parking for the car. However about 200 meters there is a parking fee. For your children, you will find on the beach in front of a nice amusement park with water slides and an outdoor pool. After intense sunny days you can spend pleasant evenings strolling through the streets of the pedestrian area of Rivabella, famous for the numerous children playground (and various inflatable Carnival Games) and for the constant evening musical entertainment. 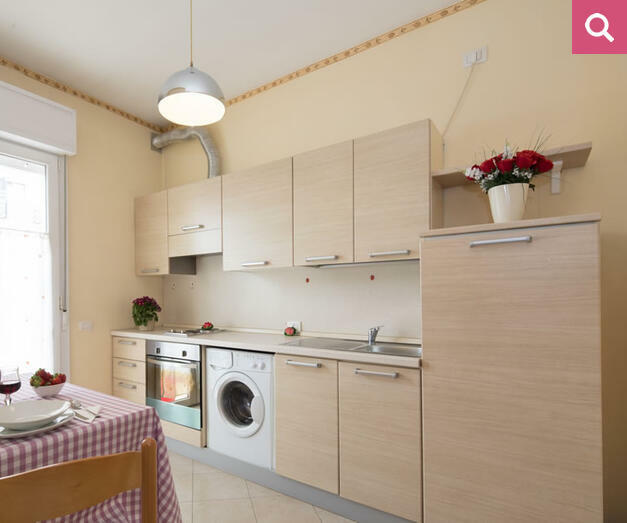 In a few minutes you can also reach the new Dock, new and more beautiful sea promenade of Rimini or the typical and characteristic Borgo San Giuliano Fellini. 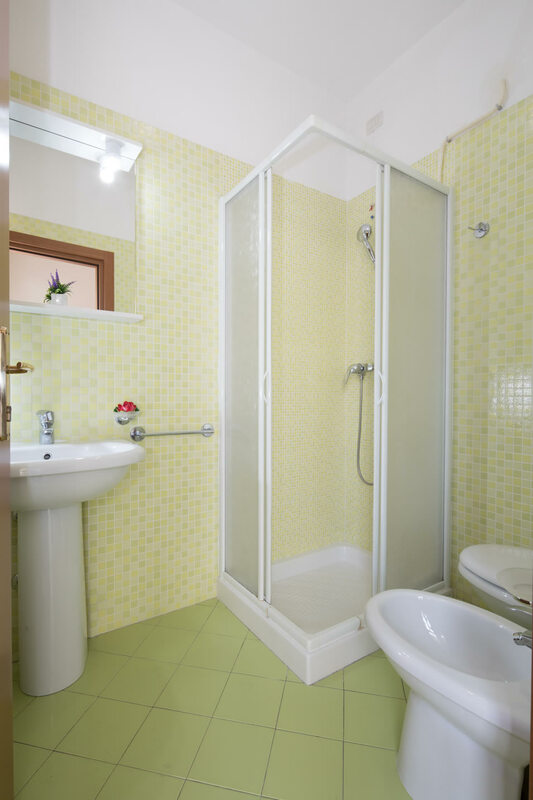 For your business trips the hotel is situated close to the Fiera di Rimini. It is connected with the rest of the city with a comfortable bus (stop at 50 metres) very frequently, with diurnal and nocturnal hours. 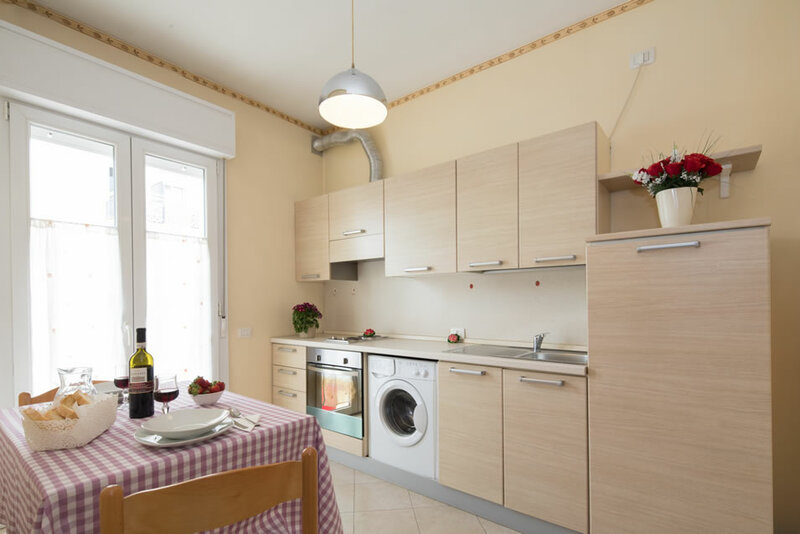 Served by a modern lift, the apartments are modern, bright and nicely furnished. 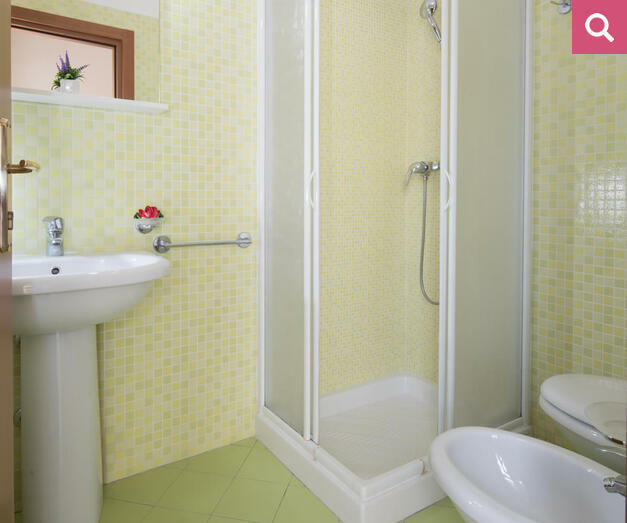 They are all very comfortable and suitable for stays from 2 to 5 people. 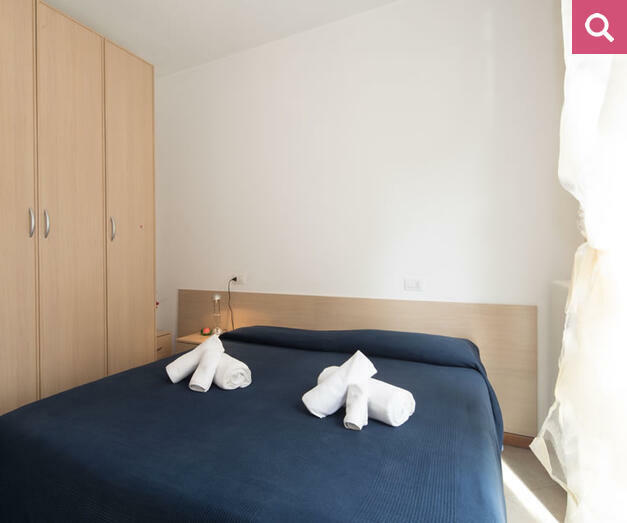 The types are different and you can choose from studios for 2 people or apartments with spacious two bed places for those who want more comfort. Two of our studios have terraces with a beautiful sea view. 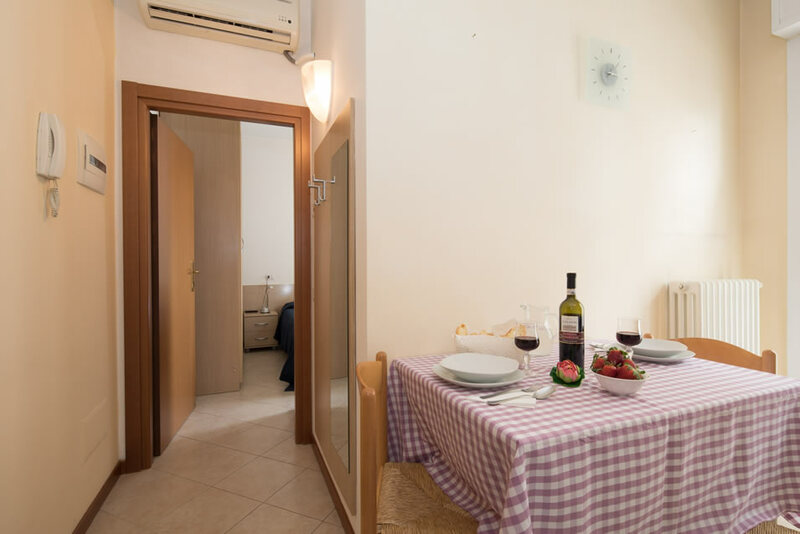 For stays of 4 or 5 people have large apartments with bedroom and living room with sofa bed, where they can comfortably sleep up to 5 people. Many of our apartments have a beautiful sea view and almost all of the balcony. To ensure a complete and comfortable holiday we will be at your disposal for every need on a daily basis. We recommend the best tours, clubs and restaurants to suit all tastes. We speak English, German and French and will be available for emergencies even during the night.